No, it's not another piece of rumour that we expect you to swallow. It's a confirmation coming straight from the horse's mouth. 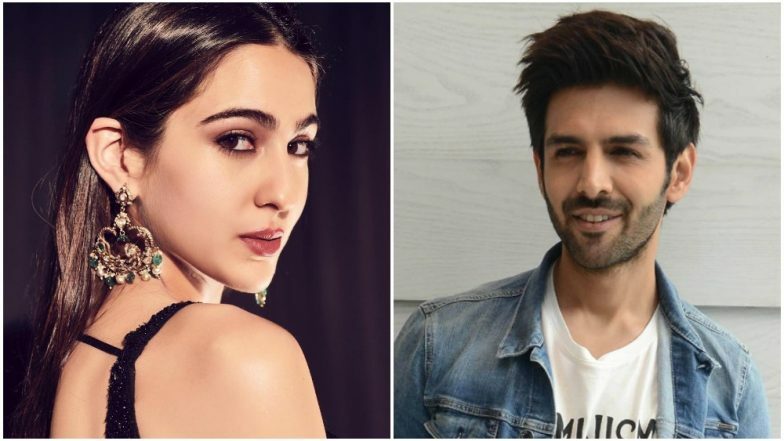 There have been speculations for the longest of time revolving around Sara Ali Khan and Kartik Aaryan coming together for Imtiaz Ali's next. While earlier we had no confirmation, Kareena Kapoor Khan in her recent appearance on Koffee with Karan dropped hints about the duo being in talks for a project together. When Karan Johar asked her to react on Sara-Kartik's chemistry, Bebo quipped saying they'll make for a good pair and they are planning to collaborate very soon. And now Mr Aaryan has finally unravelled the mystery around the same. Saif Ali Khan and Sara Are NOT a Part of Love Aaj Kal 2. As per a source close to Mumbai Mirror, “Kartik, Sara and Randeep Hooda have been doing readings for a while now and the film is ready to go on the floors. Unlike Imtiaz's previous two films—- Jab Harry Met Sejal and Tamasha, which were set in foreign locales, this one largely unravels in Punjab and Delhi." When the tabloid got in touch with the Luka Chuppi actor, he confirmed the development saying, “Yes, I am doing Imtiaz Sir next film- he is one of my favourite filmmakers and I have always wanted to work with him. I am glad it’s finally happening.” Sara Ali Khan and Ananya Panday Cheer For Sushant Singh Rajput's Sonchiriya! Hey Kartik Aaryan How Are You Feeling? - See Pics. Though Saif Ali Khan was earlier rumoured to play a crucial role in this remake, he rubbished them saying untrue. In fact, he's happy for Kartik to take the legacy forward and is all praises for the filmmaker. Imtiaz's last director, Jab Harry Met Sejal tanked at the box office and we have some high hopes pinned on his next. Let's wait for the makers to announce it officially.